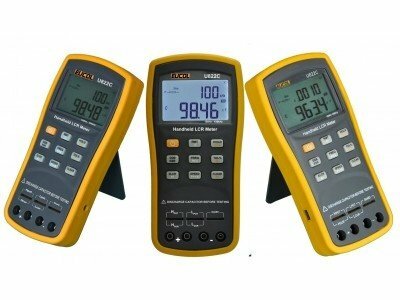 With its advanced impedance test techniques, Eucol has launched U822 series handheld LCR meters which possesses the most powerful functions in this industry and outstanding performance beyond bench LCR meters and is the achievement of Eucol after years of efforts and research on passive-components testing field. U822 Series adopt the ultra-low dissipation design and high density SMD assembly techniques and can simultaneously display primary and secondary parameters by the use of backlight LCD display. The dual-color shells and easy operating functions are the characteristics of the meter. The test frequency is up to 100 KHz, the readings of primary parameter 40,000 counts and the resolution of dissipation factor 0.0,001. Accurate and convenient measurements of passive-components can be achieved in all occasions for a long time.